Our goal at Ashford Halley Studios is to provide our clients with the best engagement portraits possible, regardless of the situation. With each session we bring every ounce of creativity, knowledge, effort, and professional equipment that we have in our possession. However, as in any collaboration, there are things that clients can do and choices that they can make that will greatly increase the odds of a successful shoot. Likely nothing will have a greater impact on your shoot. While it may seem that the weather is a variable completely out of your control, and it essentially is, your preparedness for the weather will have a direct impact on your shoot. In the days before your session should the likelihood of rain become greater than 30% then it is probably a good idea to start making preparations. If clients are making appointments that will need to be rescheduled for their shoot, or even just making arrangements to take off from work, looking at the forecast days ahead can mean the difference between losing money or not. We try to remain flexible for our clients because of the unpredictability of the weather, so we are usually open to making decisions even on the day of the shoot itself. Also, particularly when warm or hot outside, the humidity will have a direct impact on things like hair, makeup, and how comfortable you are during your shoot. Our best advise is to closely follow the forecast before your shoot and plan accordingly. Much like weather the temperature can directly affect your shoot, and by paying attention to the forecast beforehand clients can make decisions that can offset how much impact the temperature will have for their shoot. Summer heat here in the south is stifling. So much so that we advise all of our clients to avoid the summer when it comes time to schedule their portraits. However, in certain cases this may or may not be possible. Should you find yourself planning engagement portraits for the middle of the summer, our best suggestion is to consider a couple of modifications to your shoot that will help assure that the heat doesn’t negatively impact your shoot. 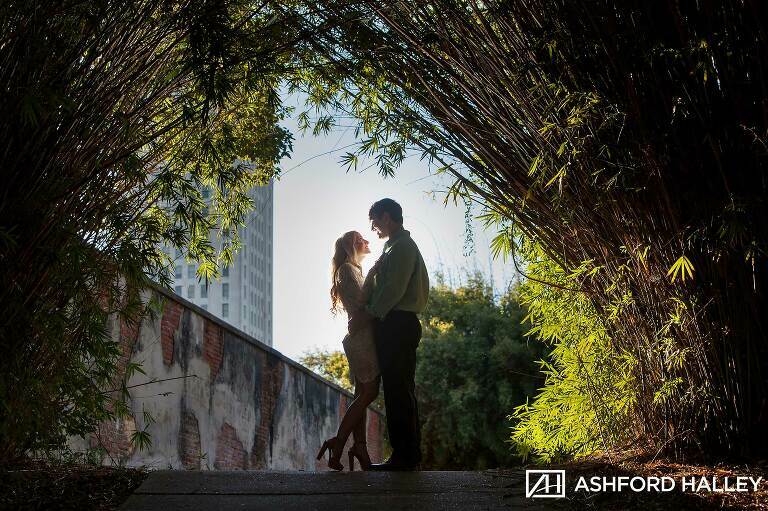 The daytime will simply be too hot to make an engagement shoot happen. No amount of photoshop will make a subject who is hot, actively sweating, and having hair and makeup being negatively affected look like they would on a nice spring or fall day with cooler temps. So, clients have the option to move their shoot to the nighttime where the temperatures are much cooler. The location of your engagement portraits will have almost as much impact in the finished product as the subjects themselves. The location will affect the feel and theme of your shoot, it will affect your ability to deal with variables like the weather and temperature, it will affect how much time you’ll need for your shoot on the day of, and it will affect how easily you are able to get ready for the shoot. We have many, many locations that we shoot at regularly and are happy to help advise all of our clients when it comes to choosing a location. However, we also want to shoot in locations that our clients envision their shoot at, and in some cases our clients may have a suggestion for us as well. Engagement portraits offer the most flexibility, and opportunity for personalization from our clients. 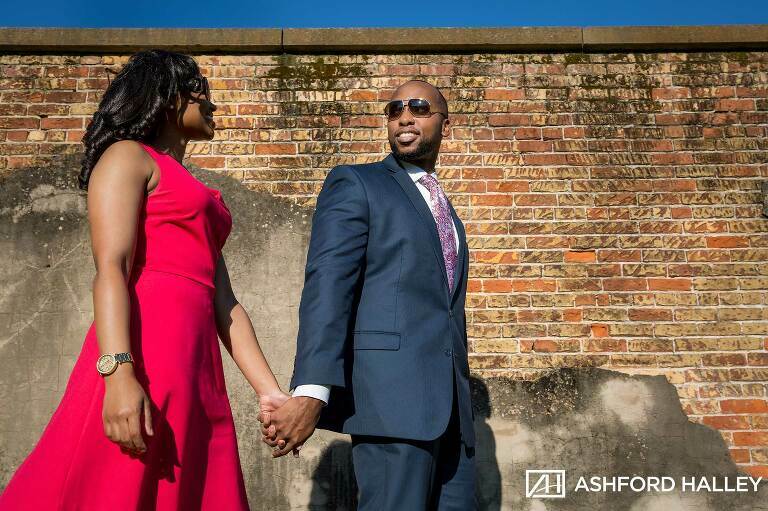 Because engagement shoots can be as formal or informal as clients desire, the flexibility that we have for different types of locations is much greater. Do keep in mind however that not all locations are created equal, and in some situations some locations may actually be much less than ideal. Discussing your ideas with us will help us to guide you through the process of deciding on a location. The quality of the lighting for your shoot greatly affects the quality of the images that we are able to produce for you. And nothing has a greater impact on the quality of the lighting for your shoot than the time of day that it happens at. When shooting outdoors, there is simply no better time to be shooting than as close to sunset as possible. Your shoot will not require accessories and props, but you may want to include them. Props for your shoot allow you to customize and personalize your shoot. Just remember that certain locations may require a great deal of walking and may take you far away from your vehicle, so what you bring along you may have to carry with you for the entirety of the shoot. Some clients also like to include their pets for some of their photos. We’re always up for including your pets when the situation permits it, but you will definitely want to arrange for someone to transport your pets to and from the shoot and to be responsible for them so that you are not distracted by trying to keep up with your pet for photographs that do not include them. Also, certain locations may make it difficult or impossible to accommodate animals so make sure to verify that your pets will be allowed at the location before you get there. Clothing choices and outfits for your shoot also offers clients a great deal of room for personalization, and greatly impact the theme and feel of your shoot. 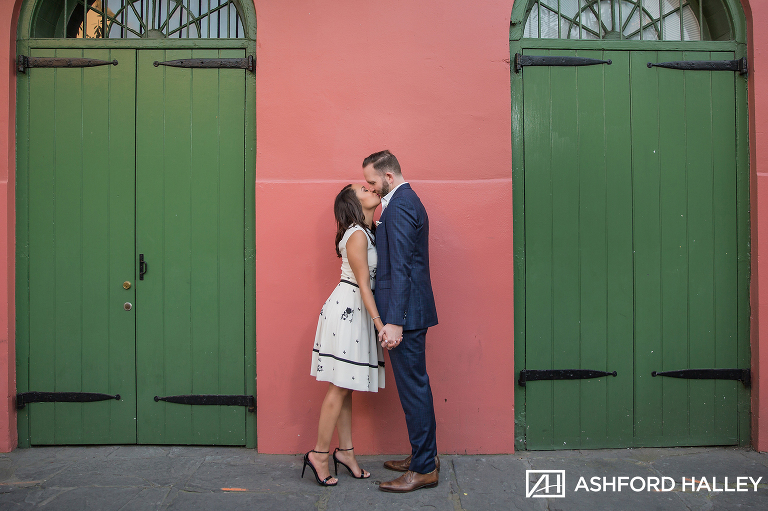 Engagement portraits can be as formal or informal as you like, and you even have the option to have two outfit changes to give you greater variety in your portraits. We do find that a lot of our clients prefer to have a more casual outfit for one set, and a dressier outfit for another set. But most importantly, these are your photographs so we suggest that you make choices that most accurately reflect both of your personalities and sense of style. We’d also be remiss if we did not mention that your clothing choices provide you with the greatest opportunity to accentuate your best attributes, and mask your least favorite. If you are self conscious about certain aspects of your appearance you should not wear clothing that you do not find flattering, or that brings attention to areas that you do not want to. We’ll try to divide your shoot into a good mix of instruction from us and flattering poses, and candid interaction between the two of you. 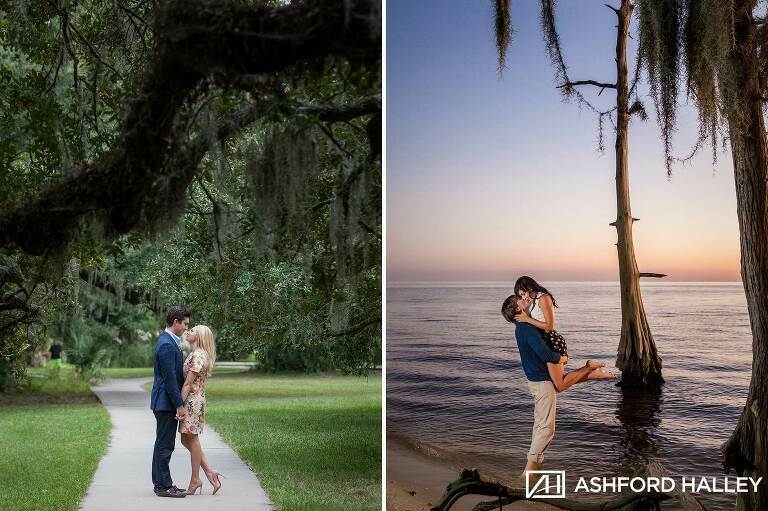 Yes, you’ll need to bring yourselves along for your engagement portrait shoot! We don’t mean physically bring yourselves to the shoot, although that is certainly a requirement. You’ll need to be more than just present for your shoot. The success of your shoot can come down to how eager your are to participate. Engagement portraits should not be stressful. For our part we try to have as much fun as we can with each shoot, and we try to interact with you in a way that will allow you to have fun during your shoot as well. Engagement portraits are fun, and they’re also the best opportunity for us to get to know our clients. There will be plenty of talking, laughing, and interacting going on and we tell our clients not to take any portion of the shoot seriously. Engagement portraits are an opportunity for us to be creative, a scenario that allows for us to take our time, get to know our clients, and cut up and be silly. Have fun!! Bring along your expectations and share them with us! But keep them realistic. We love hearing and executing your ideas for everything from poses, facial expressions, locations, to props and accessories. Engagement portraits are a collaboration, and we want to personalize everything that we do for every one of our clients. However, we still have to remain true to our style and approach to photography, and also have to deal with the challenges and scenarios presented by many of the things mentioned above. We realize that though we know much about engagement portraits and photography from many years of doing this professionally, this is likely the first time that you are doing this. Keep your ideas ready… but make sure to cater them to the scenario. Show us an idea you found for a pose, but keep in mind that we will do so in our own style and that your location is likely different from your example.